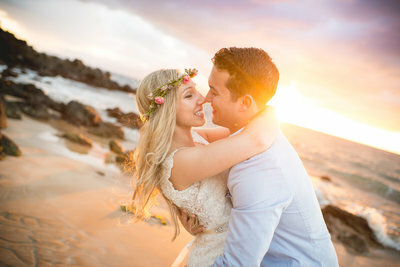 We are so glad this bride and groom decided on a Maui Elopement! Lia and Joseph were each other’s first loves when kids, they then bumped into each other 10 years later in NYC and haven’t been apart since. This was their first time to Maui, and since they’ve always wanted to visit the island they figured they’d get married here while on vacation! They were originally planning to marry in a chapel in Vegas, and although it took 36 hours for them to get here due to flight delays, it was all worth it 🙂 . 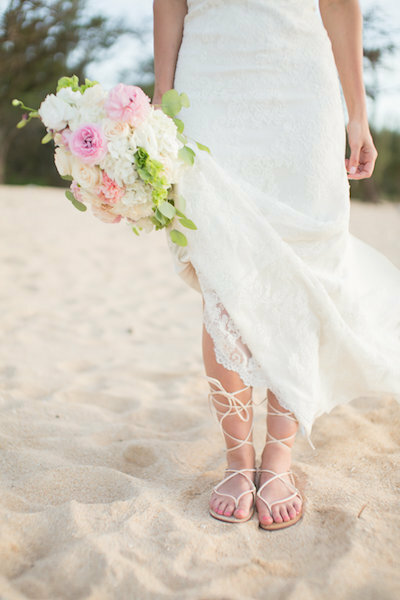 Our bride Lia loves the beach, seashells, and flamingos. She and Joseph bought a house in Florida and it’s decorated with everything seashells and flamingos! As a gift, her family got her a flamingos cake topper that they used as decoration around their cake. So cute! Although their Maui Elopement was just the two of them, our coordinator Aysha held Lia’s phone while family members watched the ceremony. Lia’s family members who were witnessing the ceremony were dressed up fancy too with flowers in their hair as if they were also here in Hawaii. We loved this so much, it made this incredible occasion even more special! 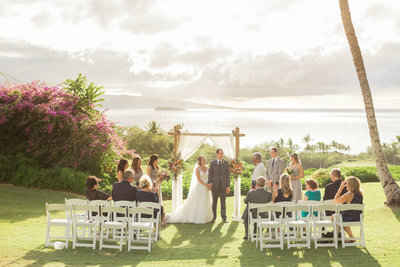 Thank you, Lia and Joseph, for sharing this magical evening with Simple Maui Wedding. Congratulations and Warm Aloha!